Binge-Watch (verb) - "Watch multiple episodes of (a television program) in rapid succession, typically by means of DVDs or digital streaming." According to Merriam-Webster, the first known use of the term "binge-watch" was in 2003, but I know I've been binge-watching way before then (even if we didn't call it that). Back in the day, we had video rental stores. There were small mom-and-pop corner stores that allowed you to rent VHS tapes and DVDs for $1.00 a day and mega-chain rental stores like Blockbuster, that let you rent for longer periods of time. Most kids today won't ever know of the physical world of video rental (perhaps they know of Redbox, a kiosk video rental company) because they are immersed in the world of online streaming like Netflix and Hulu. But today, dear reader, I remind you of the best video rental service ever—the library! Two main reasons the Free Library DVD video loaning program is the best is #1 It's free!, and #2. We have a large catalog of hard to find films and television series! Netflix and Hulu require an internet connection for streaming, while also have a limited catalog of videos (which can disappear at any time). And did I mention you have to pay for these services? Not to be outdone, the Free Library now offers streaming video for classics, indies, foreign and hit movies (but more on that topic another day). 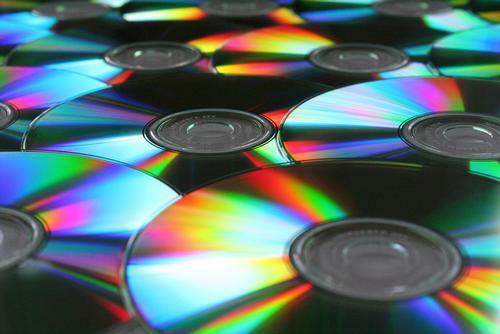 If you're still like me and your DVD player is plugged into your TV, but you haven't actually played a DVD in a while, here's your chance to visit our catalog and place holds on over 40,000 DVDs! Features six thirty-something friends—involved, formerly involved, or looking to become involved with each other—in some of the funniest, most compromising, and embarrassing situations ever presented on television. Meet four professional African-American women living in Los Angeles who are struggling with the weighty issues of life, including men, love, money, and more men. No matter what is going on in life, they rely on each other for support and humor. When Joel (Jim Carrey) discovers that his girlfriend, Clementine (Kate Winslet), has had their tumultuous relationship erased from her mind through an experimental scientific procedure, he decides to ease his own pain by getting the same treatment. But, as each memory of Clementine is systematically eliminated, Joel suddenly realizes how much he still loves her and desperately attempts to reverse the process. London's gambling world is the setting where aspiring writer Jack Manfred (Clive Owen), suffering from writer's block, takes a job as a croupier to support his art. Knowing the dangers of the cards, Jack is adamant about remaining a professional outsider, but the temptations of the game inevitably swallow him deeper than he could have ever anticipated. In Jean-Luc Godard's early films, the loneliness and desperation of French urban life is a major theme. Set against this background, three young Parisians rob a suburban house, but their carefree caper turns into tragedy. A charming, eloquent, and vicious drifter on the lam in London rejects those who would care for him and hurls himself into a nocturnal odyssey through the city, colliding with a succession of desperate and dispossessed people and scorching everyone in his path. Sarafina is a schoolgirl in Soweto, South Africa. She has only learned the history of the whites in her South African schooling, until her history teacher (Whoopi Goldberg) secretly teaches the students to be proud of their heritage and make a stand against apartheid. The film features beautiful South African music, choirs, and percussion. Two main reasons the Free Library dvd video loaning program is the best is #1 it's free! and #2. We have a large catalog of hard to find films and televsion series!